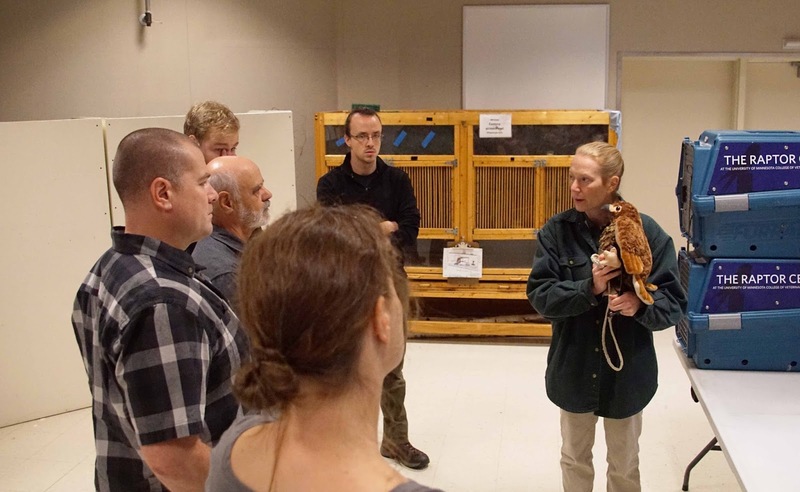 This week, The Raptor Center is hosting 24 participants from 15 states and one Canadian province for our Care and Management of Captive Raptors Workshop. Behavioral training techniques for education, handling, enhance your organization's message through live education animals, and basic exam procedures were just a few of the topics covered with our world-renowned staff. 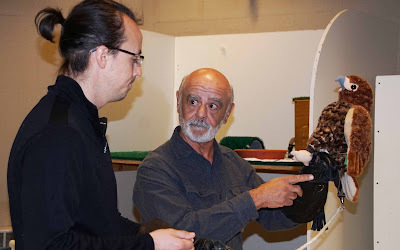 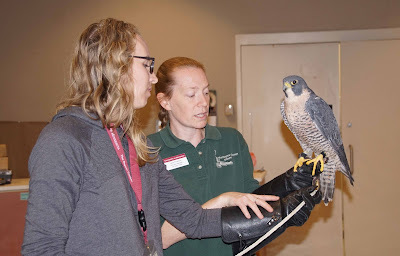 Artemis the peregrine falcon is a terrific teacher!